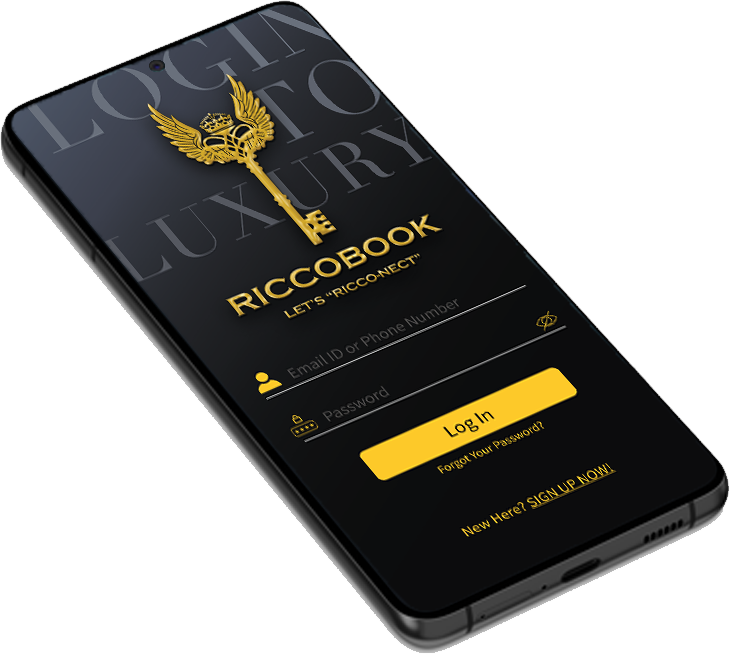 Riccobook is a platform for those who would like to experience Luxury in a different manner. 'Ricco', in italian denotes Wealth. Likewise, Riccobook encompasses a wealth of Luxury knowledge and variety of products from reliable sellers. If the above details excite you we urge you, to come and "RICCO-NECT"
From Flying on a private jet to being measured for a bespoke pair of shoes, joining an Exclusive Members' Platform is a landmark moment for People of Style, Aspiration and Taste. Riccobook tends to cater to the above experiences and takes Socialising to a different level, which has not been tried before. Socialize your plush shopping experience using the brialliant app on your finger tips. 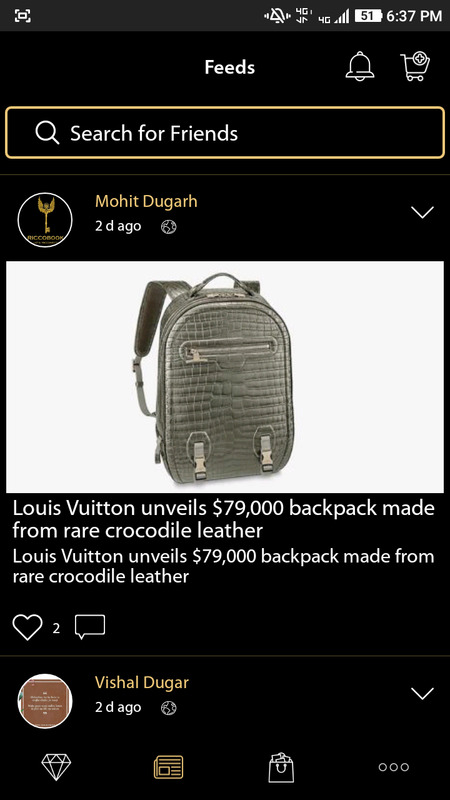 With our Luxe Column, stay up to date with Luxury News from all over the world, on the go. 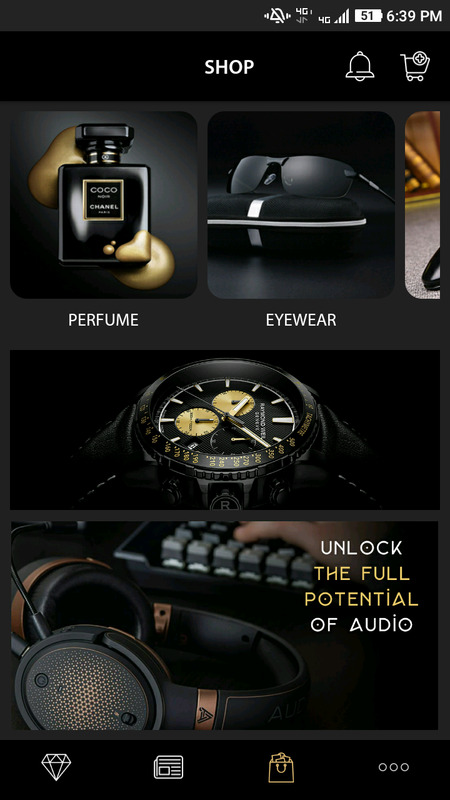 It's an amazing application that allows me to connect with like minded individuals along with complete security.As I am an ardent lover of perfumes, getting niche perfumes was a hassle for me. 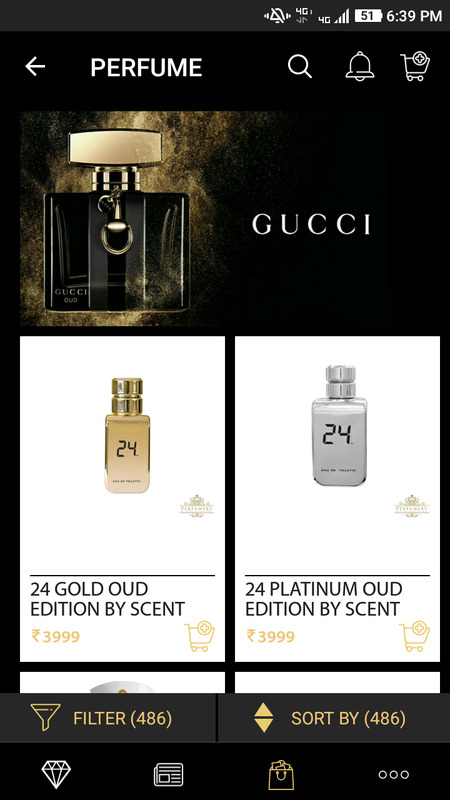 Undoubtedly, Riccoobook provides with an array of choices of perfumes that i always wished to Own. Kudos!! A very novel and unique concept. Riccobook offers the perfect blend of socializing mixed with shopping exclusive products. I was searching for a product for gifting and I came across Riccobook. It has a wide variety of products to choose, ranging from high end sunglasses to bespoke shoes and perfumes unmatched by all. Definitely One of the kind!! I was totally awestruck when i got to know about this app. They have this novel feature of Communicating with a voice note that we can pause and record at our ease. The best part is gets auto deleted after 3 days !!! The issue of privacy is resolved. 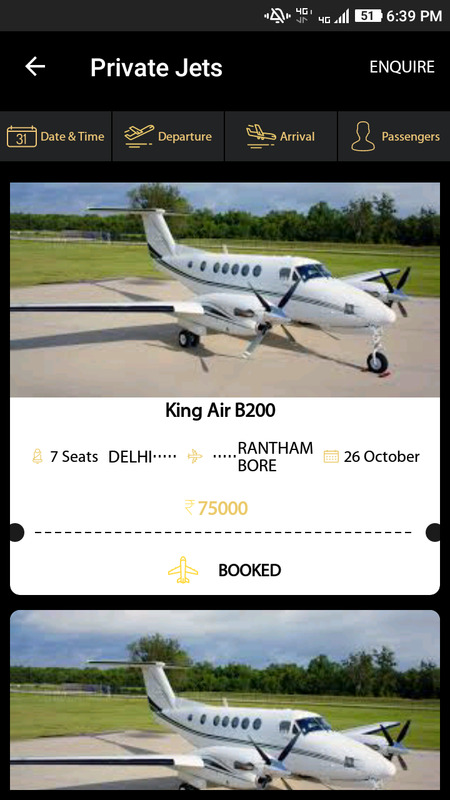 Many people have already talked about their exclusive goods and services like hiring a private jet which is indeed required in today's enabling enviornment. Project Perfumery is a Specialized marketplace for all your fragrant needs, The Team behind Projekt Perfumery India includes Fragrance Enthusiasts, Entrepreneurs and Industry Experts. We are Here with one Motto That is To Bring Best Fragrances from around the World to India. DGT Opticians is an exclusive retailer for spectacles, sunglasses and lenses. We stock the latest range from leading brands in the industry. With over two decades of expertise in quality, custom fitted shoe making for men and women, The Shoe Factory offers the craftsmanship and quality of fine crafted leather shoes with a contemporary twist. The TSF team is passionate about you stepping out in style with a personalized touch through the art of bespoke shoe designing, and handmade shoe craftsmanship. Air Charter Service (ACS) is a global air charter company with offices worldwide. We provide helicopter, airliner, cargo and private jet charter solutions. Shop for your favourite gadgets at the best price and from trusted sellers with Offline Presence. Who doesn’t love Music, for the best listening experience come and look at our selective range of world class Music Accessories. Luxury Watches selected to cater to every level of watch connoisseurs at most Competitive Prices. Want to become a Seller? 2019 Riccobook. All Rights Reserved. I hereby declare that the information provided by me is true and correct and i also have the authority to share the same.